For IT quality of service is not just for networks anymore. IT is now a service based organization. IT should follow quality management system practices and principles for the products and services it provides since they are vital to the performance of the business. 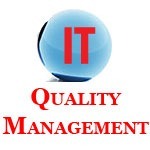 Most best practices used in IT today define a quality management system (QMS). A QMS defines the standards of quality used within the organization. Regardless of what best practice you follow there are certain quality management principles you should use as a guide. ISO (International Organization for Standardization) is the world’s largest developer and publisher of International Standards. The ISO 9000 family of quality management standards and guidelines are used by companies around the world to establish and improve their quality management system. You do not need to fully implement the ISO 9000 standards to have a QMS in your IT department. However these eight principles can be guides to set up or improve your present quality management system. This eight part series will look at the ISO 9000 quality management principles that can be used as a foundation upon which you can build your quality management system. Here are the eight ISO 9000 quality management principles. Leaders establish unity of purpose and direction of the organization. They should create and maintain the internal environment in which people can become fully involved in achieving the organization’s objectives. Identifying, understanding and managing interrelated processes as a system contributes to the organization’s effectiveness and efficiency in achieving its objectives. Continual improvement of the organization’s overall performance should be a permanent objective of the organization. Read our eight part series on the quality management principles your quality management system can be based on. ISO always has good ideas. Keeping in mind that organizations and theirs suppliers should have mutually beneficial relationships seems especially important in the modern interdependent world.